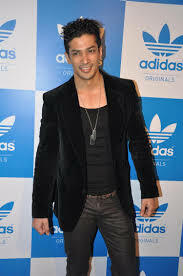 Muzammil Ibrahim is a leading model actor who won the Gladrags Manhunt 2003 at the age of 18. He has the reputation of being the youngest winner of the same competition. At the age of seven he won the National Bravery Award in 1993 to save a drowning child who dropped into a swimming pool. 19 years later, he saved a 60-year-old woman from the sea and won the Godfrey Phillips National Bravery Awards in 2009. He won twice the national level in a national championship. Muzammil Ibrahim was recognized for his performance in his debut movie "Dhokha" 2007 and won the "Best Newcomer" award for the film. He started his career as a model. He has appeared in several video clips, including "Teri Yaad Jab Aati Hai", "Pardesiya" and "Kabhi Aisa Lagta Hai. He ran for many famous designers and made various printed sessions. It exerts martial arts like Taekwondo, Aikido and Muay Thai to remain in the form.